Fall is upon us and that means…apple season! Picking apples, baking apples, and biting into the juiciest, crunchiest apples is probably the most wonderful experience to usher in the start of fall! Some of my most favorite memories from childhood are the smell of Grandma’s apple pie baking in the oven, beautiful fall leaves all around and the cooler temperatures on the horizon. Can anybody else relate to this? 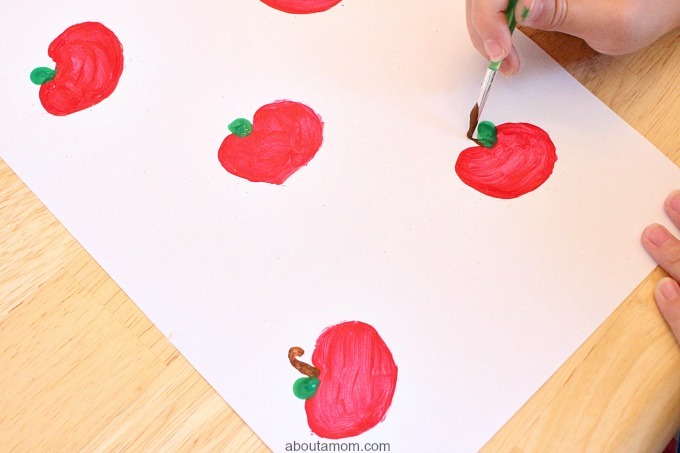 The beginning of fall and apple season is the perfect opportunity for crafting with the little ones! 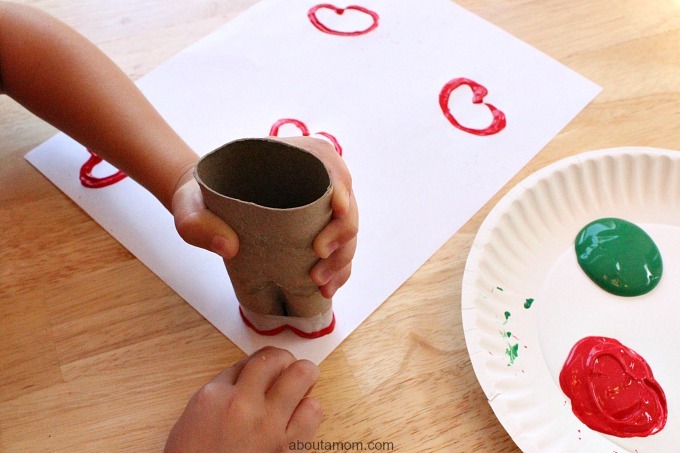 Who doesn’t love an easy, do-it-yourself craft? 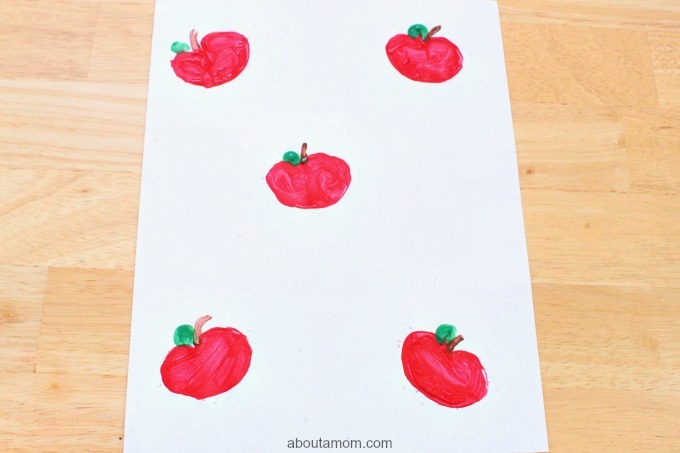 This DIY Apple Stamp Craft for Kids is sure to be a hit with your children and/or grandchildren. It’s creative, simple and so much fun! 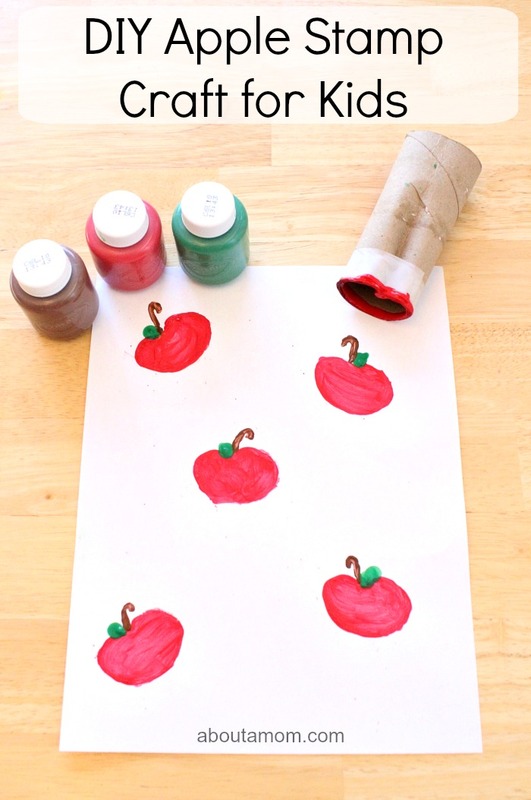 With just a toilet paper roll, some tape, a few painting supplies and you’ll be on your way to making wonderful apple season memories with your loved ones! In this picture below you can see how we taped our toilet paper roll into an apple shape. 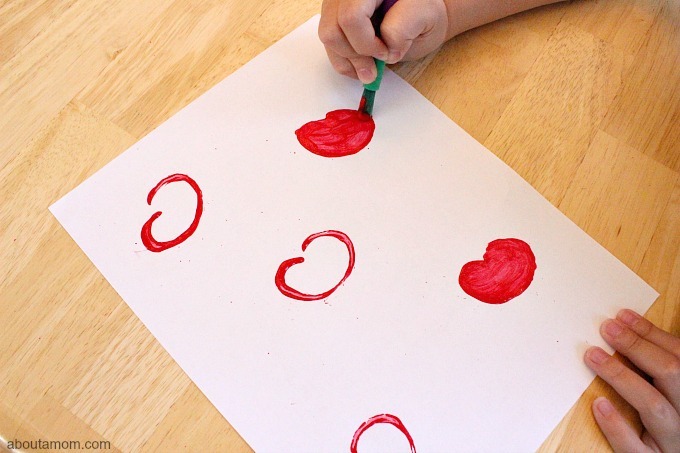 Using a paint brush and red paint, finish filling in your apple to complete your apple shape. I love this step! My kids decided that we shouldn’t paint a boring ol’ leaf on their apple but rather they wanted to use their thumb print as their green leaf and I said…sure! 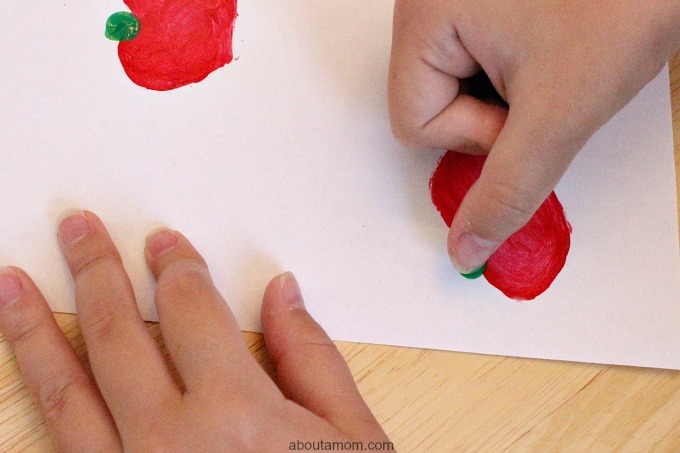 Dip just the tip of the thumb into green paint and create a thumb print leaf at the top of each apple. Written by About a Mom contributor, Mandy Mae. Mandy is a wife, mother, teacher, and frugal-DIY-enthusiast. Hoping to inspire mothers to take action in making a positive influence in the lives of their children with simple DIY, crafting, thrifting, and teaching projects. You can see more from Mandy Mae on her blog MissMaesDays.com. I’m definitely excited for the apples this season. 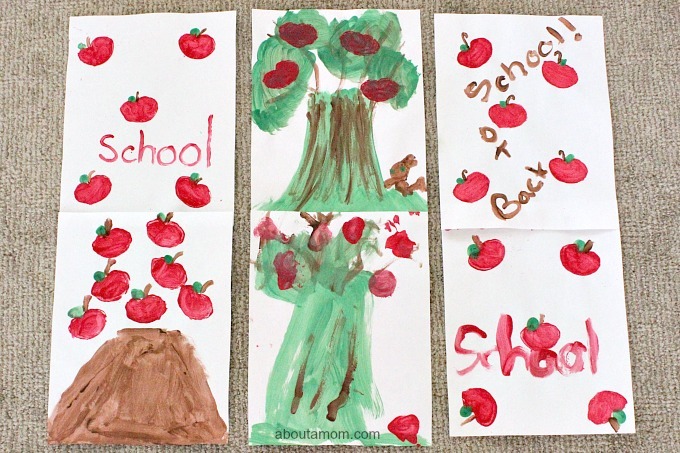 I love the creative designs you made using the DIY stamp! What a simple craft and easy to do but oh so pretty. I would love to hang a few of these in my home. I don’t have any little ones anymore but this would be fun to do with my little niece. 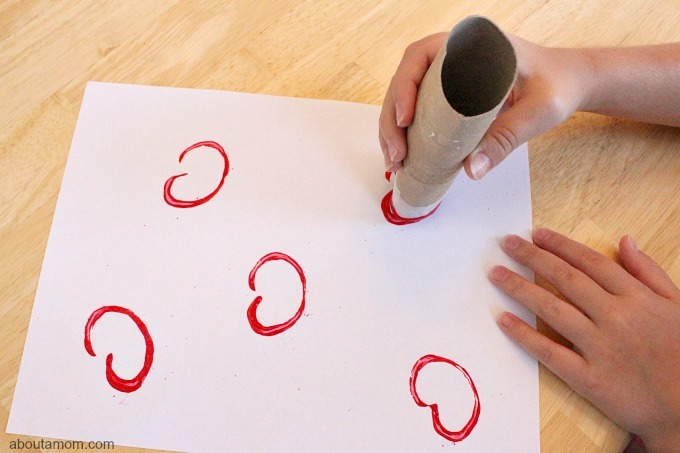 These stampers are so cute and creative. 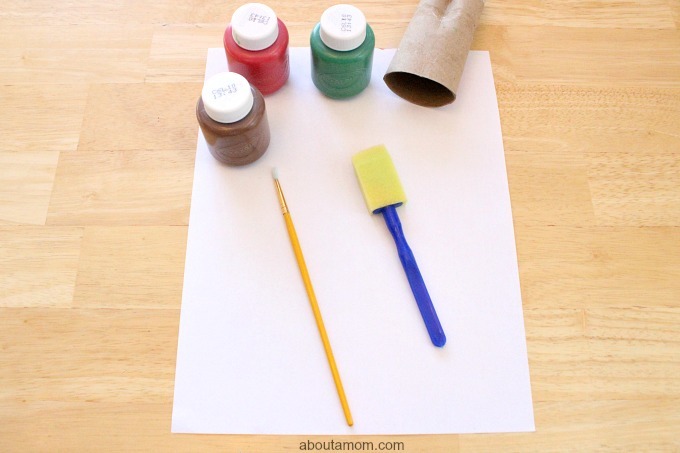 They are perfect for doing crafts with the kids this fall. This is really cute! 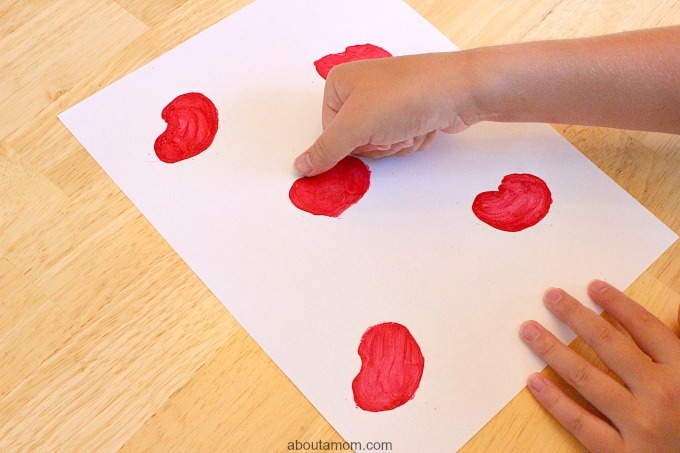 I’d like to do this with paint you can use on fabric, and use it to make a pillow or two!